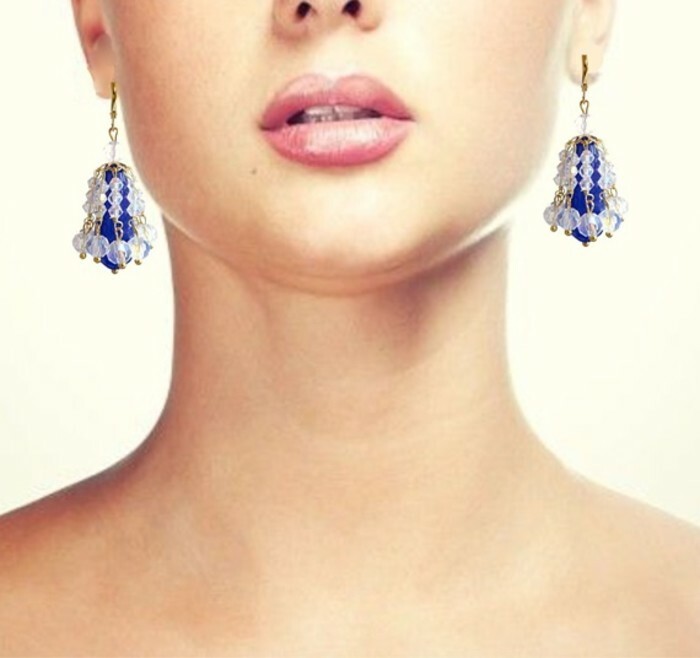 Sapphire teardrop and crystal chandelier earrings. Large sapphire teardrop beads are surrounded by drops of ab crystals. Stunning statement earrings.